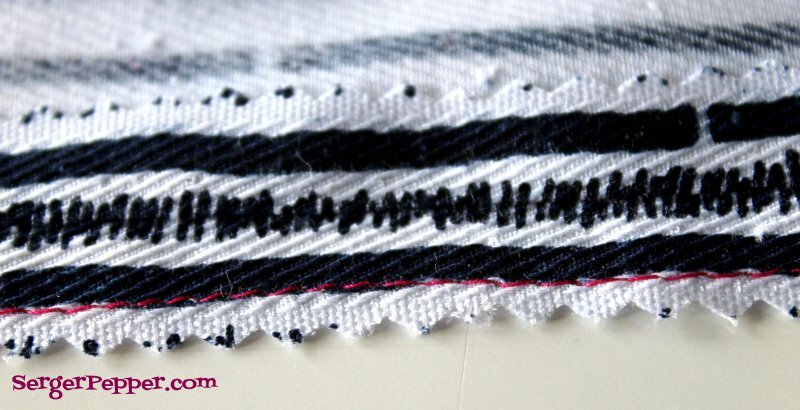 This post is part of the Sewing Seams 101 series here on Serger Pepper. Construction seams are those who build a garment (or any other sewing project): they’re the bearing wall! Without construction seams, you wouldn’t have a garment… they makes the magic, creating a defined 3D shape, starting from 2D flat fabric pieces! The most common seam you can expect to have as a construction seam, is a “plain seam“, where two layers of fabrics are matched, Right Sides Together, and sewn along their raw edge, at a certain fixed distance (usually determined by the designer) called Seam Allowance. Often a construction seam can become part of the design too: I love this part of the designing process when you (the designer) decide where to move a functional (construction) seam to achieve a certain look! It’s like when, as a child*, I was playing with LEGO’s: plan, realize, repeat… endless possibilities! A special type of functional construction seam is the staystitching: this is a technique that helps you not to stretch and put out of shape armholes and necklines, especially when working on loose-woven fabrics or knits. What kind of stitches can I use for a contruction seam? knit, with or without spandex: triple straight stitch (only on seams that do not require a good amount of stretch) or three-step zig-zag (perfect for snug neckholes or even for attaching waistbands: so much stretch! ); some sewing machines have also a lightning bolt shaped stitch, good for knits. stretch the seam a couple of times, until you hear the stitches “pop” here and there, then re-stitch the same seam a second time (this is grandma’s trick, coming from when sewing machine were sewing straight stitches and nothing else… and I wouldn’t use it if I have available any other option listed above!). Finishing seams add strength to fabric edges so they can’t fray and they give a nice last touch to your project, moving it from homemade to handmade. 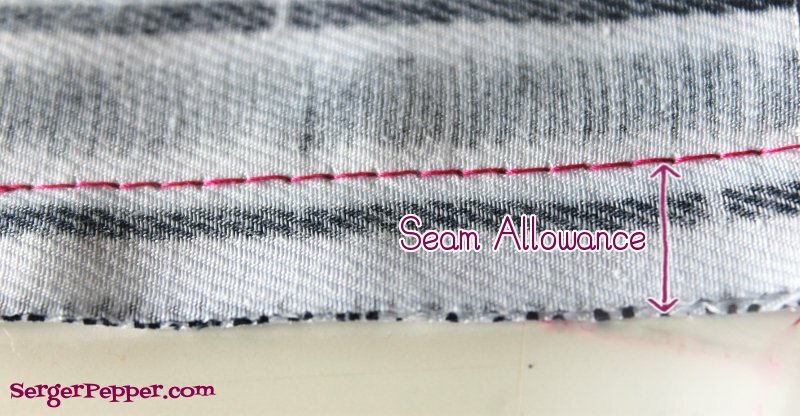 Anything you do to your seam allowances is a finishing seam: think zig-zag overcast, serged seam allowances, hong-kong finished seams, just to name a few! 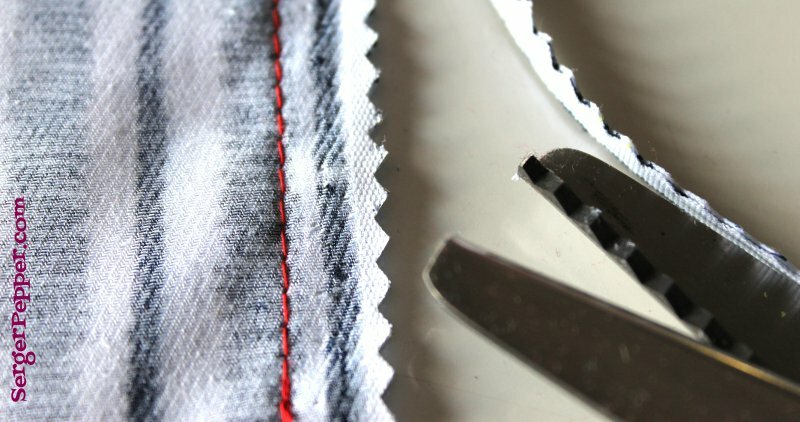 Sometimes, construction seams and finishing seams are melt together in a particular sewing technique: think to flat-felled seam, bound seam or french seam, where you can’t separate the two functions! Topstitch and edgestitch are another kind of finishing seam: they help the garment lay flat next to the related construction seam now and then, after more and more washing cycles! Understitch is another kind of finishing seam: it’s used on lined or faced garments to keep the lining (or the facing) on the inside of it, without peeking out! I would include hems in the finishing seams family: regular hem (single or double fold), blind hem, rolled hem, picot hem, bias bounded edge, cuffed (banded) hem… and many more! Hemming a garment it’s not mandatory, especially for knits, like I did on my Mom’s Raglan Dress FREE Pattern, proudly left un-hemmed. We’ll talk more in-depth about each one of these seam technique very soon! What kind of stitches can I use for a finishing seam? zig-zag (any kind: regular, triple, three-step, and you can do one or two rows of it, depending on how much your fabric is willing to fray) or overlock stitch on a sewing machine, sewn directly on the raw edge: you need the needle to sew in the fabric when it’s on the left and to go down stitching just outside the right raw edge. Other schools of thought will say you have to zig-zag first and trim the exceeding fabric then… time consuming and really hard not to cut the just-stitched zig-zag, in my book! When I sew stretch knits in hazardous places (crotch on leggings! ), I love to sew a construction seam with a triple straight stitch, then finish seam allowances together with a 4-thread stitch: sturdy and reliable also if worn from an “earthquake” like my LilPotato! One thing to note is that sometimes you have to finish your seam allowances BEFORE you even start sewing together your garment: do that with highly fraying fabrics and/or slippery fabrics, like the polyester lining I used for my daughter’s Green Princess Dress; here I used a serger stitching all around, but a simple zig-zag would do the trick! I would add a nice finishing seam whenever seam allowances are visible from the outside of the garment, when worn: think sheers, but also cardigans, usually worn with front closure… opened! Appearance is important too, here! With bulky fabrics, trim to reduce seam allowances before finishing, and avoid bounded or french seams whenever is possible: better choose a finishing method that do not add more bulk (like a bias bound or a simple overcast, either by hand or by machine); usually better finish each seam allowance on its own (and not together), pressing them open! ..well, I think that we’ve covered enough stuff for today! 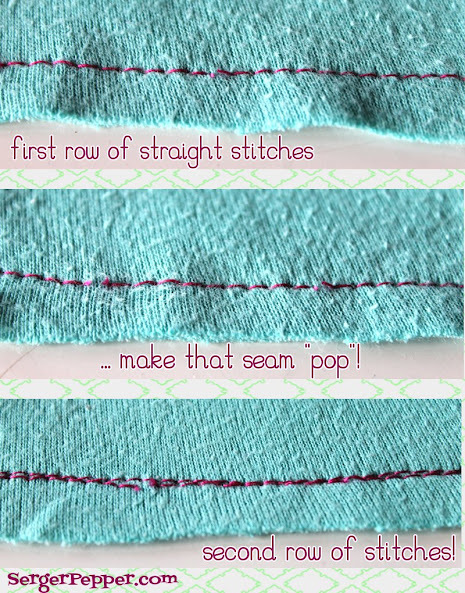 See you next week, when we’ll start talking of seams more in-depth, starting with staystitching! Great post! I used to wish I had pinking shears (well, i was lazy) but then I realised that the fabric would still unravel. 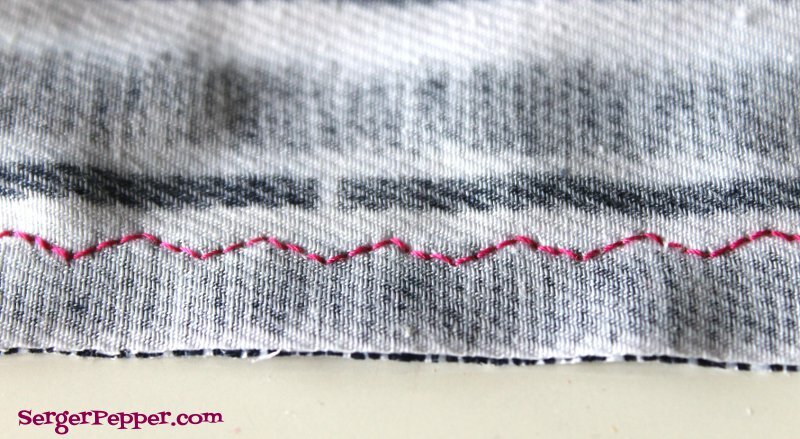 So, now I opt for the long route – zig zag stitch the edges to save any tears and agony! I’ve recently bought pinking shears, after years of waiting (too many gadgets to buy! ), my mom used them a lot! Tha best way to finish seams is the serger, also if I struggled with zig-zag for most of my life! Hugs, dear, and happy sewing! An excellent series, Irene. Lots of information for those who are new to sewing. Thanks Pam! I have a lot of topics coming, just need the time to write them down. I feel like I need a place to link to when I’m asked for some basic questions. I started linking other’s blogs but there was always something I wasn’t completely together!